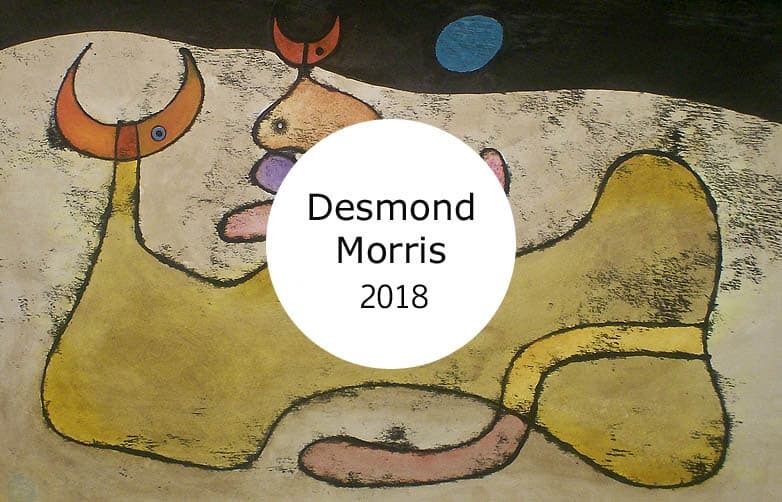 Desmond Morris has been exhibiting since 1948 and is a prominent contemporary Surrealist. He has a longstanding interest in natural science and has a scholarly background in zoology with a particular interest in animal behavior. Previously Morris held a Research Fellow position at Wolfson College, O3 Gallery Oxford, he has published widely within this field, and has written and presented many television programmes exploring the natural sciences. In 1957, Morris staged an exhibition at the Institute of Contemporary Art, London, to showcase the creative capacities of apes. He exhibited his work alongside Joan Miro in 1950, and since 1974 has been involved in some individual and group exhibitions. Morris has written and directed Surrealist films, and his work is held in some public collections in the United Kingdom and the United States, as well as in The Israel Museum, Jerusalem, and the Galleria Nazionale d’Arte Moderna, Rome. Morris’s work has been studied extensively, and Silvano Levy is currently completing the third volume of a catalog raisonee on the artist.